Fascinated by the monumental clocks on the towers which dominate the cities, Antoine Preziuso creates the clock of Siena inspired by the imposing “Torre del Mangia” a tower in Piazza de Campo, famous place for its traditional Siena horse race, the “Palio”. It dial has been realized from Mother Of Pearl, finely cut and decorated. The unique hand indicate each hours and half hours, according to the original model (on the picture it is 4 o’clock). 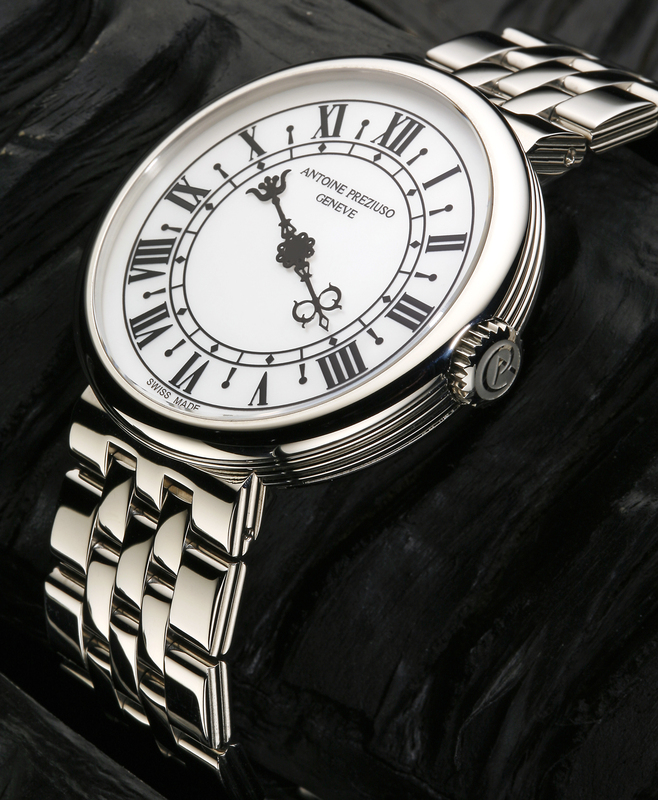 More than a watch, this creation is a jewel, destined to be carried with distinction. Siena is an italian city in Toscana who has been declared by UNESCO a World Heritage Site, which means that it is protected by the World Heritage Programme as an important part of the history of humanity to be preserved for years to come. The Palazzo Pubblico is the town hall which is actually a palace, and the adjacent bell tower, called Torre del Mangia. The Torre del Mangia – a tower in Piazza del Campo built between 1325 and 1348. The clock was put onto the tower in 1360. The tower and the Duomo were purposely built to exactly the same height to show that the Church and the state were equal in power. The tower walls are around 11 feet thick and the stairs to the top are cramped allowing for one way traffic only. Only 25 visitors are allowed up the tower at any one time. 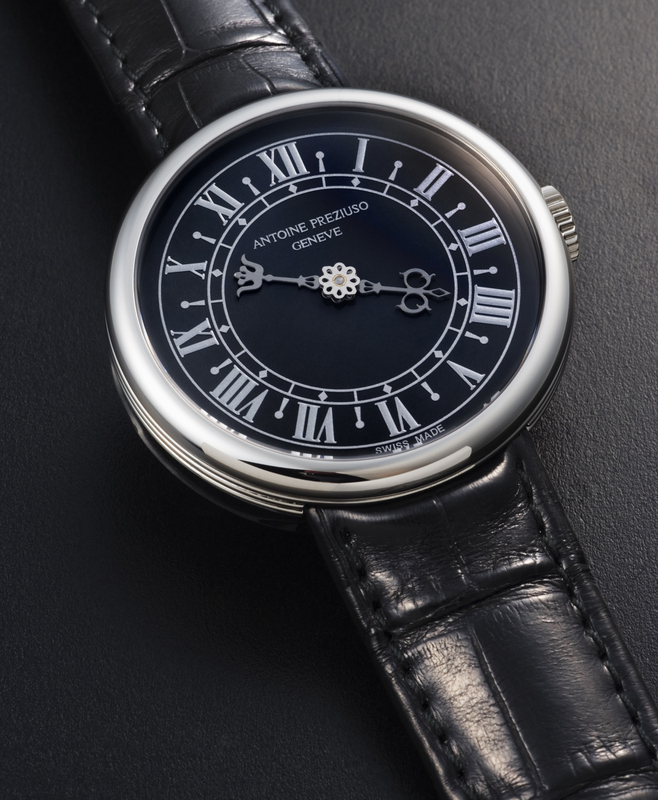 40 mm – steel case 316L– caseback opened- sapphire glass. Swiss mechanical with self-winding cal. APG 282 – blue screws personalised oscillating weight – “Côtes de Genève” decorative pattern – 21 jewels.